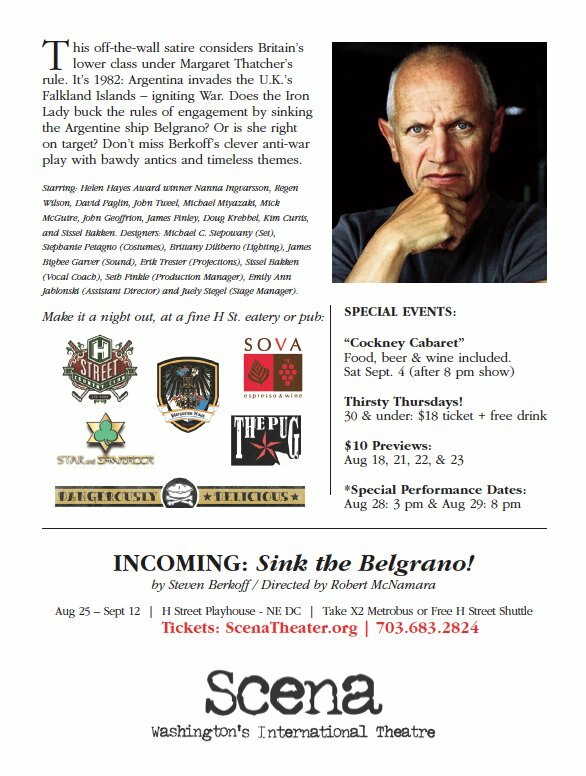 PROBLEM: “Sink the Belgrano” is a play by Stephen Berkoff that is written in blank verse (unrhymed iambic pentameter). Also, it is a political satire about Britain in the Faulklands War. This is a very niche play. And, it does not seem like fun—even though the play is actually very funny. SOLUTION: Develop creative, memorable, standout posters for each play and place posters and postcards around DC. We invested time to read and research each play to understand the themes. Then we created many print pieces and web banners with the same concept, imagery, and copy. EXECUTION: We made all print and web materials fun, irreverent, and bawdy to reflect the naughty nature of the play. 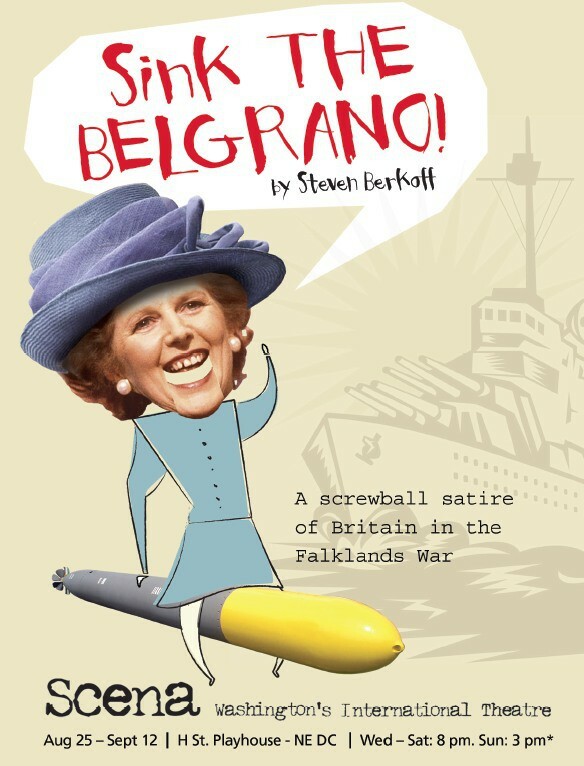 British Prime minister Margaret Thatcher has been criticized as being too aggressive in sinking the Argentine ship, The Belgrano, because it invaded British territory. So we had fun with it.